Founding member of Human League will be hosting the Future of Sound/Future of Light event that features UVA, The Sancho Plan and Andrey Smirnov. Martyn Ware is close to an expert of the history of sound. As a founding member of Human League and Heaven 17, he not only perfected it but also shaped sound into pure pop. Now, after more than three decades in the music industry, Ware is not so concerned with past and present sounds, but more the future ones. DD: What’s the idea behind Future of Sound / Future of Light? MW: It’s all about discovering and re-creating how sound behaves in the real world, and we do it through edutainment. There will be short presentations, digital art and performances. DD: And what is 3D sound? MW: It’s sound coming from several speakers on different levels, for example one on ground level and one 20 feet up in the air. DD: How long has Future of Sound / Future of Light been going for? MW: This is our second time at Goldsmiths, but the event is five years old. DD: How did it all start? MW: We developed a software programme for 3D sound when I worked on Baftas’ Interactive Committee and their awards ceremony. That was the starting point. I met so many amazing and talented people there and I got tired of showing it just two, three people at a time in my Brixton studio so I started working on the Future of Sound project. DD: What’s your target audience? MW: It’s for everyone. We’re not just looking for students at Goldsmiths and sound specialists but anyone who’s interested in the potential of sound is welcome. DD: Who’s your favourite on the bill? MW: Well, I like The Sancho Plan – they’re amazing and we’ve had them on the bill for years. 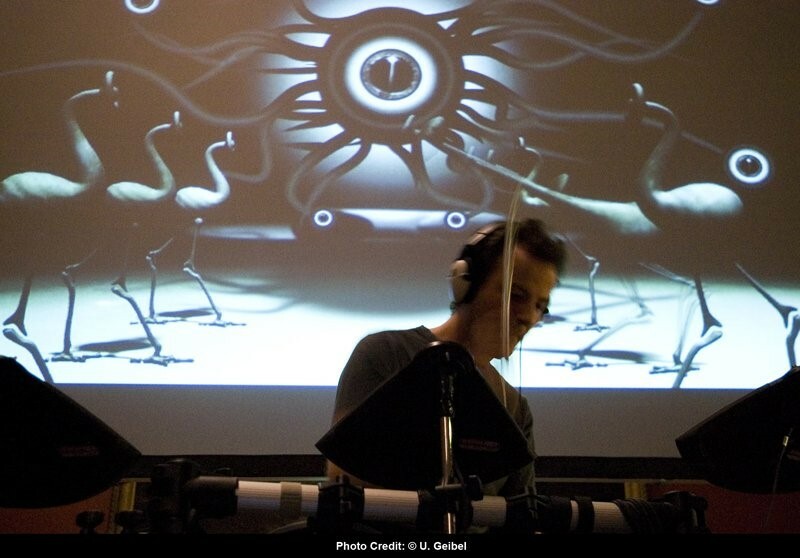 They create fantastical worlds of adventure in which animated musical characters are triggered by a variety of electronic musical instruments and interfaces. They are the headliners but they’re used this - they play festivals all the time, like Sonar in Barcelona. DD: And who else is performing? MW: We have United Visual Artists – AV pioneers who have worked on live tours with U2, Massive Attack and Basement Jaxx. Robert Rimbaud AKA Scanner will present a live interchange between artists, charting a conversational movement of colour, musical fragments and texture. He’s previously worked with Radiohead and Bryan Ferry. DD: Isn’t Tal Rosner, who won a Bafta for his work on Skins, showing his new film as well? MW: Yes, but there will be a selection of his films actually, and also Without You, a new one exploring London’s industrial suburbia, beautifully reconstructed in digital motion. DD: You even have a keynote speaker! MW: Yes, Andrey Smirnov is a director at the Theremin Center for Electroacoustic Music at the Moscow state Conservatory. Future of Sound / Future of Light is in two parts – the main performance part is in the evening but in the afternoon there will be a panel discussion with a few artists and experts, like Smirnov. We will taste sounds and smell vision! DD: Is it a bit like a festival? MW: Yes and no. We don’t have bands playing per se. It’s an eclectic group of people, it’s all a bit like performance art. You can’t pin it down because you’re not sure what you’ll get or how people will react. Some artists will finish their work on Tuesday afternoon, hours before the event. It will happen there and then – there won’t be any YouTube clips to look at afterwards. DD: What other stuff are you and Vince Clarke working on? MW: We’ve got an exhibition at the Science Museum coming up called Fast Forward. It’s about Formula 1 cars and it features the sound of invisible cars. Together we’ve worked on over 50 commercial and artistic projects, like the Royal Ballet and Bafta’s Gaming Awards. And in June we are doing Sound Life London in Leicester Square. It celebrates the sonic essence of London, the typical sounds of a major city. DD: Have you not also recorded music together? MW: Yeah, we’ve released two albums; Pretentious and Spectrum Pursuit Vehicle. DD: How did the two of you meet? MW: When Vince was with Erasure they approached me to produce their 1994 album I Say I Say I Say and we’ve been close friends ever since. DD: Any last pieces of advice to Dazed readers before the event? MW: Yeah, be there or be square!